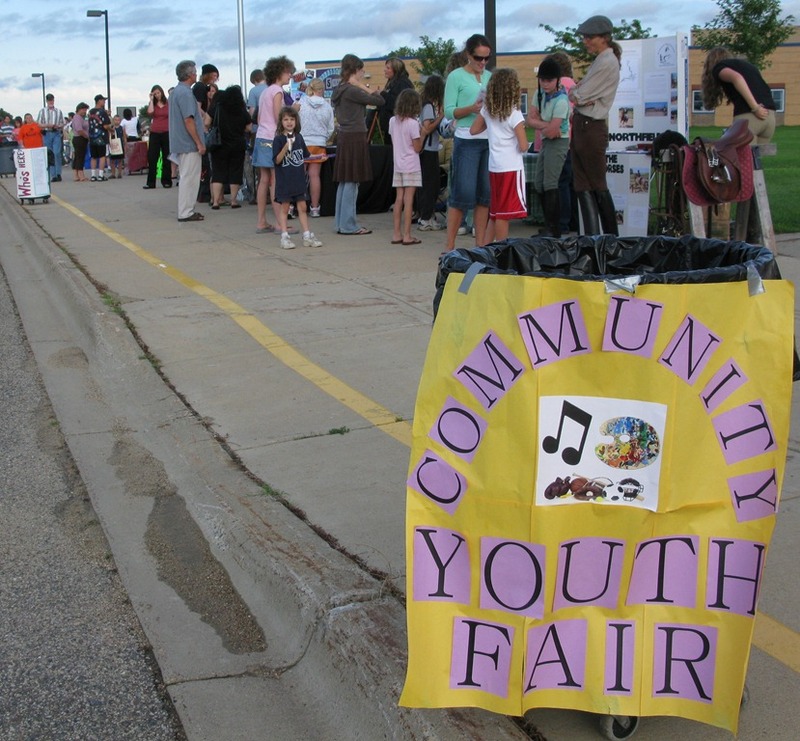 I was out for a leisurely bicycle ride on Wed. night when I came upon the 7th annual Community Youth Fair(s) that was being held outside Bridgewater Elementary, hosted by the Northfield School District’s Community Services Division. 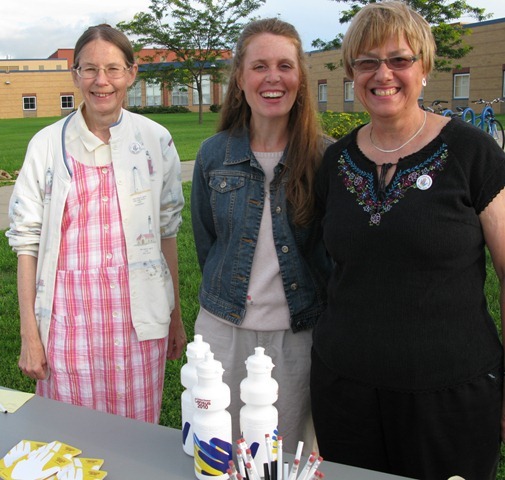 Alas, I only had time for a few photos as Mary Ho, Rhonda Pownell, and Susan Hvistendahl (L to R, center photo above) kept bothering me about the 2010 Census, even though I have it on good authority that these types of people should be avoided. In all fairness, the district did “advertise” this event. Parents of district students received emails with a flyer detailing the events at both Greenvale Park and Bridgewater. Also, upto and including the day of the events, the information was posted on the home page of the school district website. The district is very prompt on updating their website so once the events were concluded, the notice was removed. Finally, a flyer was mailed with other district information to parents of district students. Thanks, Kathleen, that’s good to know. As for the District’s web site, I met with Chris Richardson a month or so ago to give him some feedback on the problems I saw with it. It’s a bit better now in that they’re creating news pages with unique URLs to link to. But it’s still problematic. There’s no RSS to subscribe to, no email list to sign up for, no search feature, and news that’s old should still be archived/linkable/searchable. 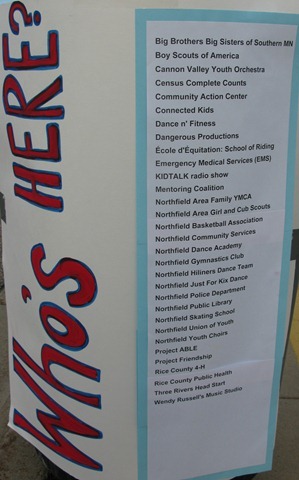 An annual event like the Community Youth Fairs should have its own permanent page with historical info/photos. Where’s the update on how it went? How many attended vs. last year? Where’s the list of links to the websites of all the 30+ organizations who participated? Other examples: Where’s the web page/section for the Rock ‘n Roll Revival? 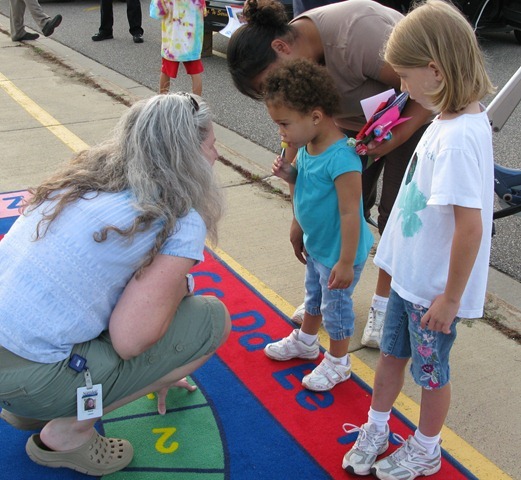 Where’s the information on the two public charter schools that the School Board sponsors? 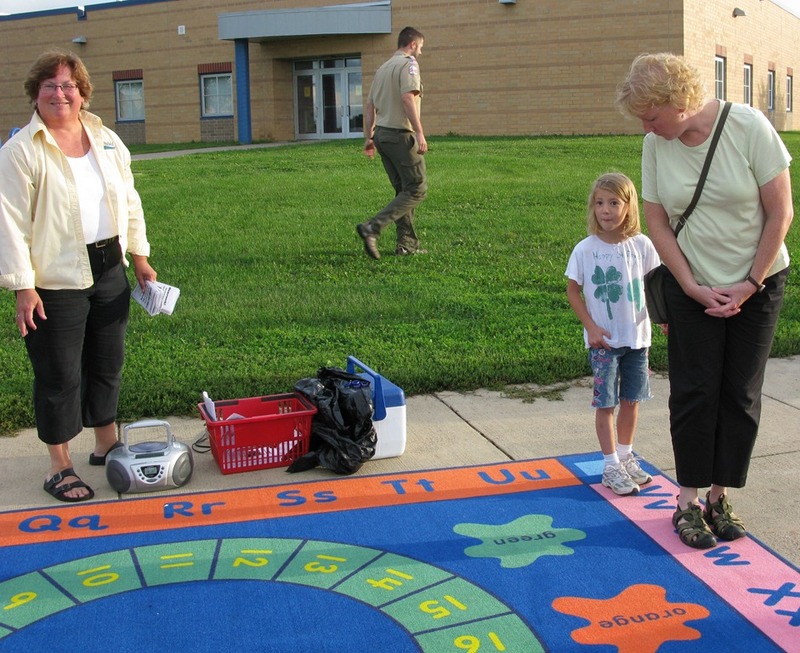 Where’s the page on the Sibley School expansion? Where are the archives of all the Key Communicator emails that have been sent out? The District’s site and online communications practices are vintage 1999. I can find no fault in what you have stated. Especially on the lack of archiving old data. I find myself having to copy the information in order to have it for future reference. I hope that Richardson has taken you input to heart and will work to improve their website. Kathleen, I was pleased that Chris met with me and that he took copious notes. I hope to see more improvements, even if they’re incremental.